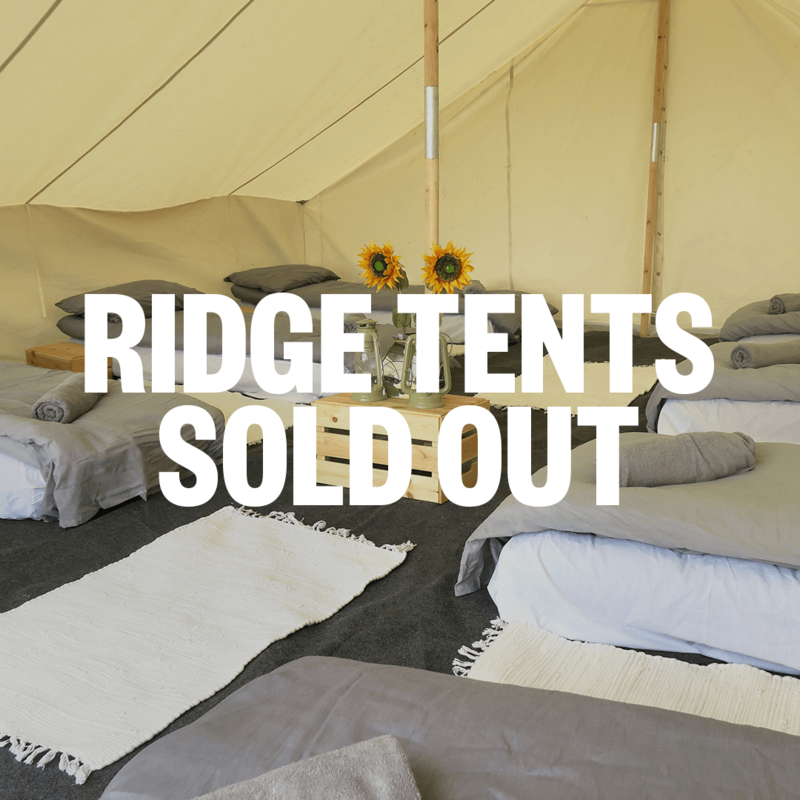 RIDGE TENTS ARE NOW SOLD OUT!!! Although ridge tents are currently sold out, if you are interested in purchasing a ridge tent or something similar please email [email protected] and we will see what we can do. Sleeping from 6 to 10 people, you can make sure your family or friends NEVER have to leave your side. The tent comes with air mattresses and all the bedding that you could require. All this, plus a load more extras and finishing touches. If you have purchased a Thursday Entry ticket, your Glamping Tent will be ready for you on you on arrival!